I am visiting my daughter Brenda and her husband Robb this week in Delray Beach. I am working on my next video “An Easy Sail to Portugal and the Carribbean” from the 2017-2018 cruise. 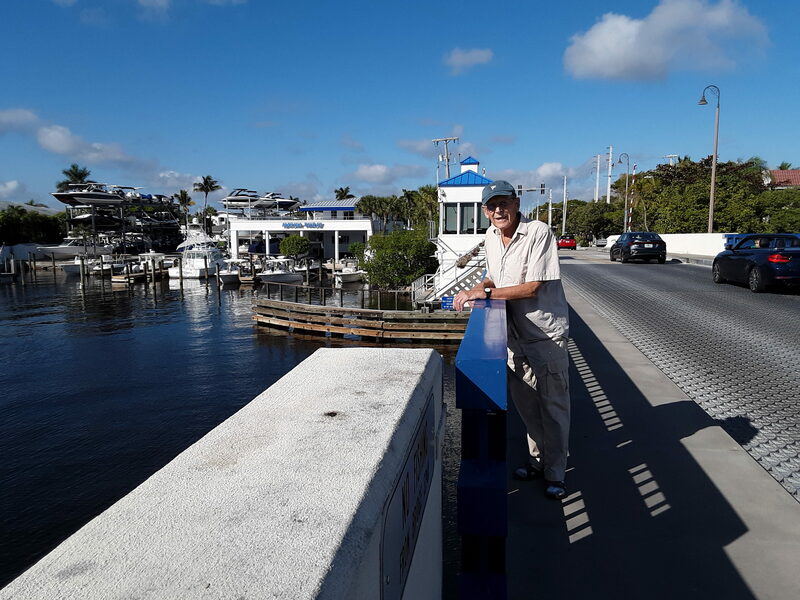 Eric enjoying the sunshine while walking on the Intercoastal bridge.